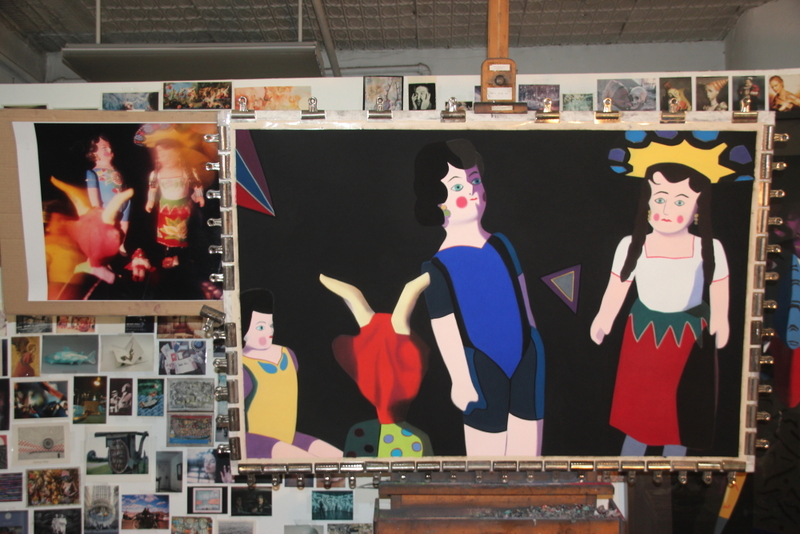 A: I continue working on a large, 38″ x 58″, pastel painting called, “Conundrum” and am happy with how it’s progressing. A few days ago I added the small triangle to the right of the central figure. I felt some compositional element was needed there and believe this is an improvement. Posted on April 1, 2017, in Art Works in Progress, Black Paintings, Creative Process, Studio and tagged central figure, compositional element, Conundrum", easel, improvement, pastel painting, triangle. Bookmark the permalink. Comments Off on Q: What’s on the easel today?.